Tea Time | You Cooked What? 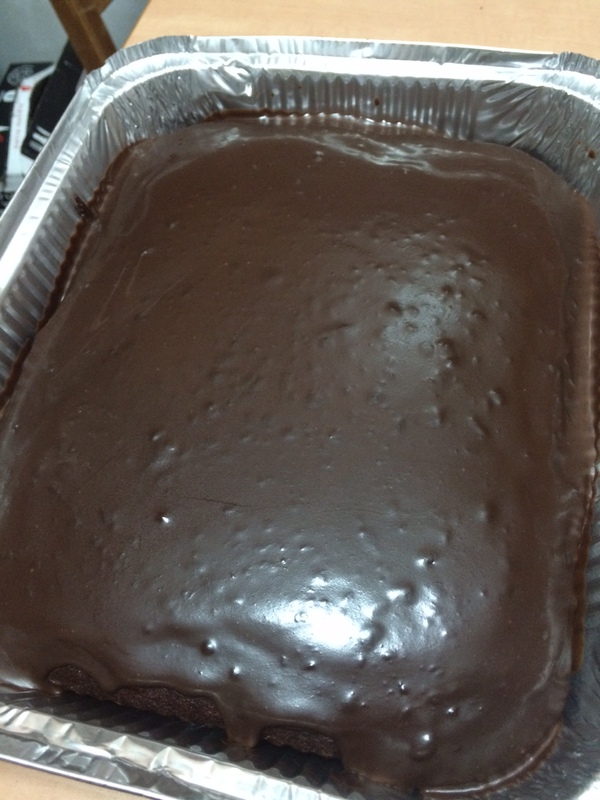 I got a hankering to bake dessert for tonight and to make something I had never done before. 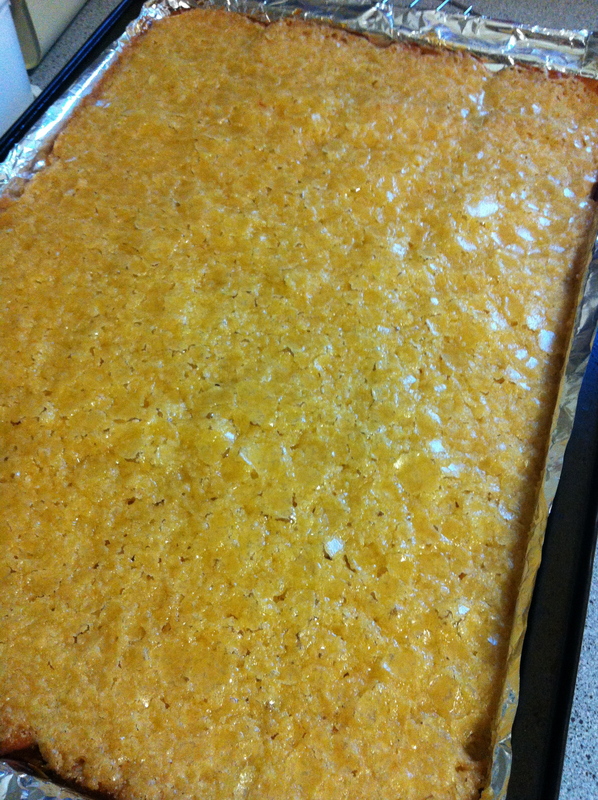 I found a tin of diabetic friendly pineapple pieces and voila! 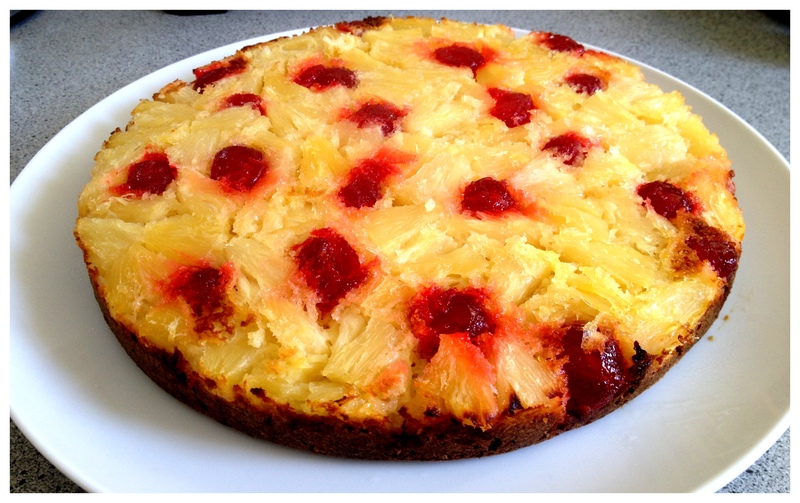 Pineapple upside down cake was googled. 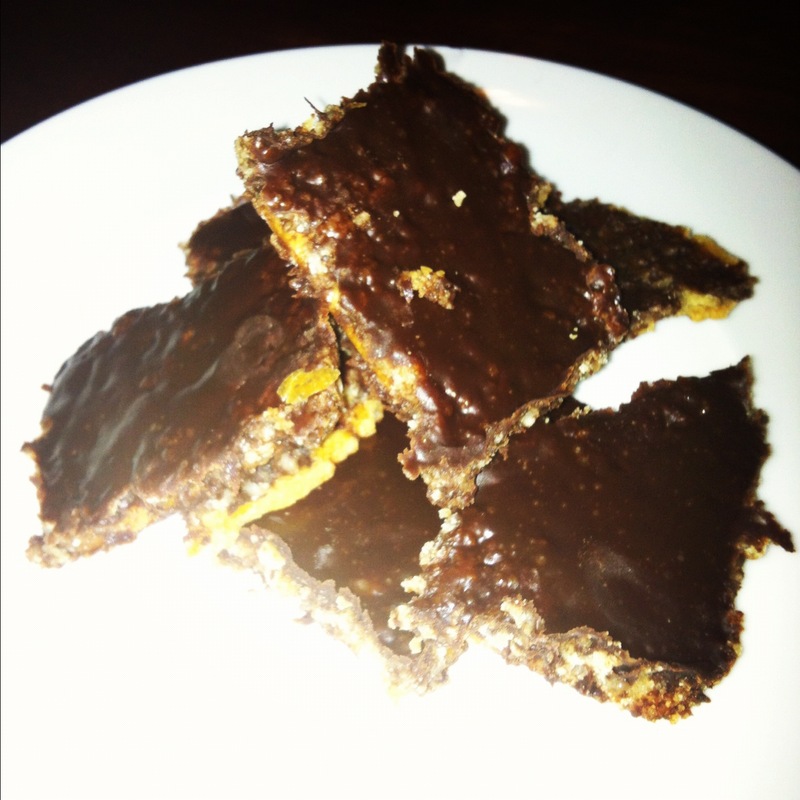 I found a really really easy recipe on Nigella Lawson‘s site. You can see the original recipe over here. 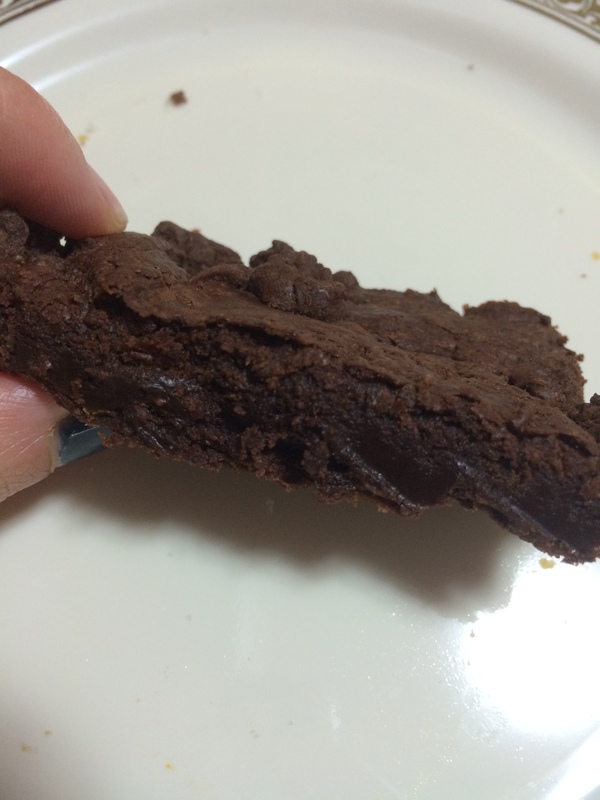 I adjusted the recipe a little since I wanted it to be totally diabetic friendly (and also milk free). 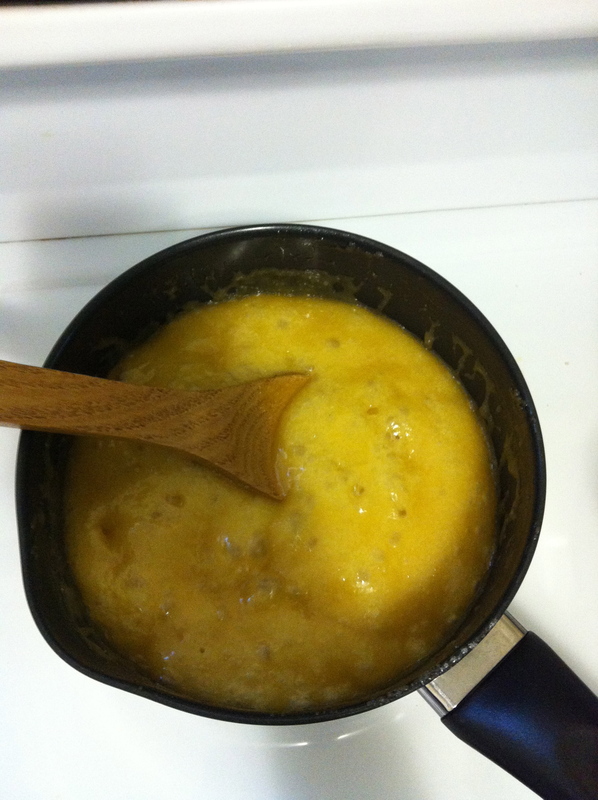 6 slices canned pineapple in juice (plus 3 tablespoons of the juice) – I had the tin of diabetic friendly pieces. 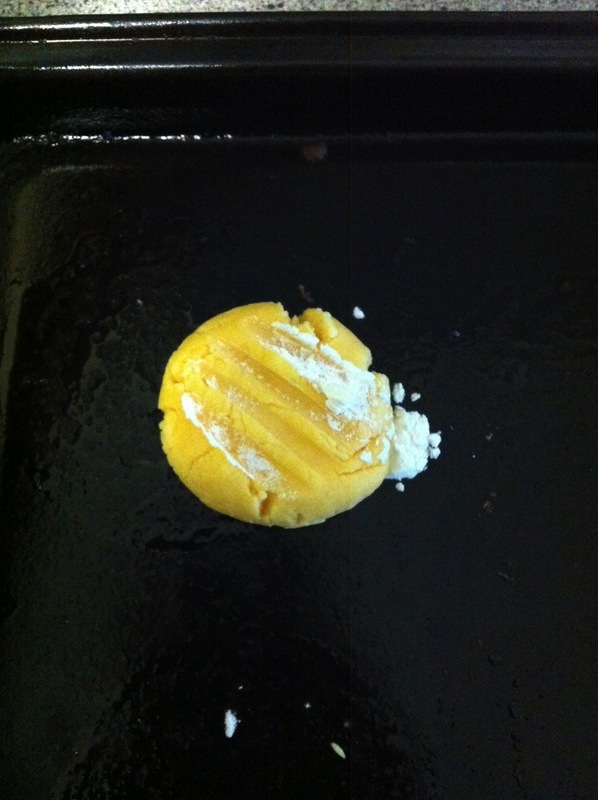 Heat the oven to 200°C and coat a 23cm cake tin with the butter or Spray & Cook. Nigella says not to use a springform or loose base tin. I only had a larger silicone ‘tin’. Next time I will use a smaller tin. 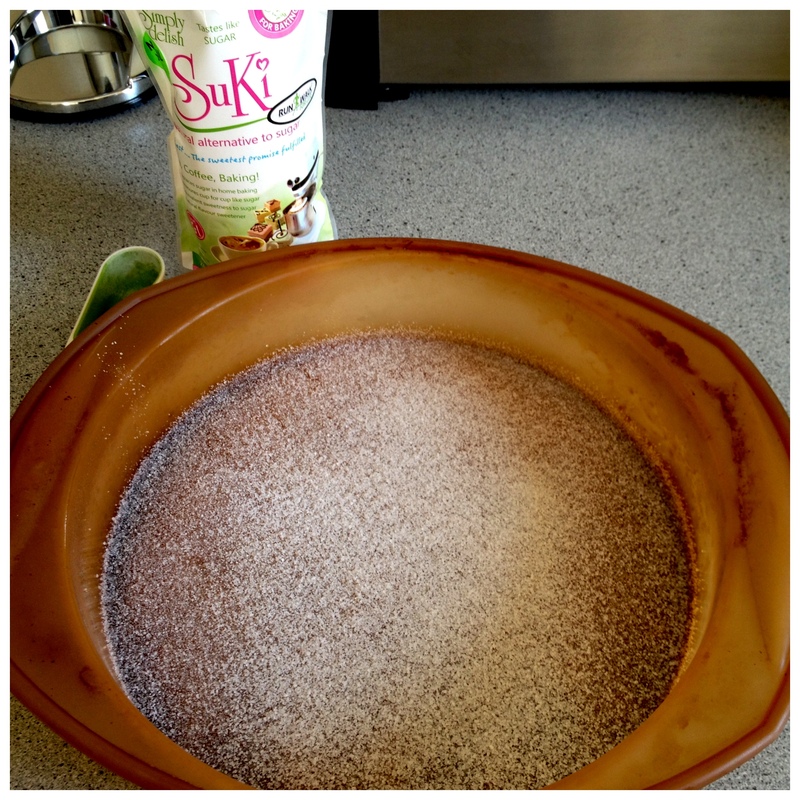 Sprinkle the 2 tablespoons of sugar or Suki on the greased base, I sprinkled it around then swooshed the tin around so it was spread evenly. Arrange your pineapple slices on top of the sugar and place a cherry inside each piece and in between slices. I mosaic-ed the pieces of pineapple and dropped cherries randomly between them. 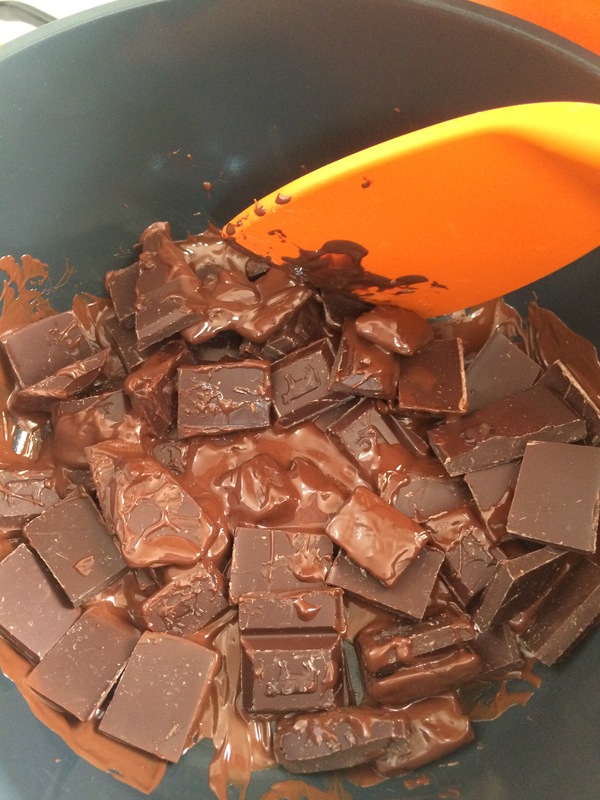 Place flour, baking powder, bicarb, butter, remaining sugar/Suki and eggs into a bowl and beat until smooth. 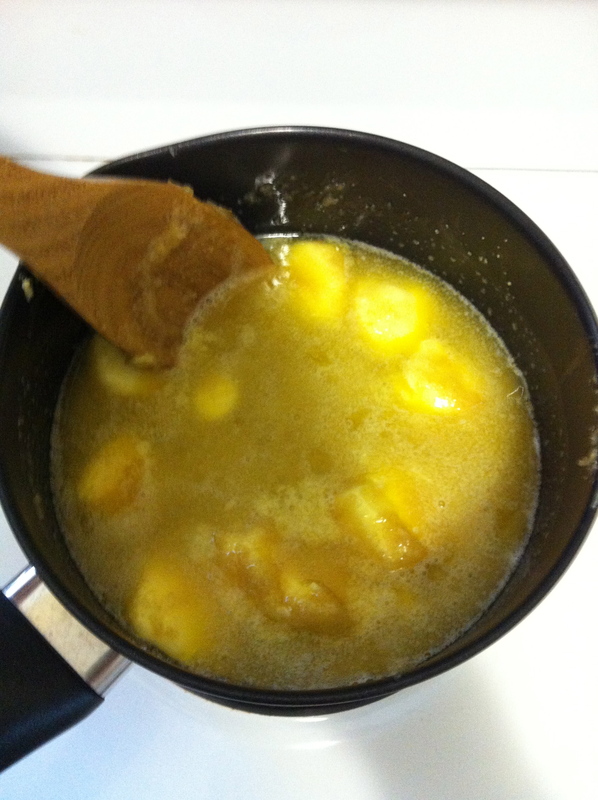 Add the 3 tablespoons of pineapple juice to the batter and mix well. Gently pour the batter over the pineapples and cherries, it really will only juuuuust cover them so be gently when you spread it around. 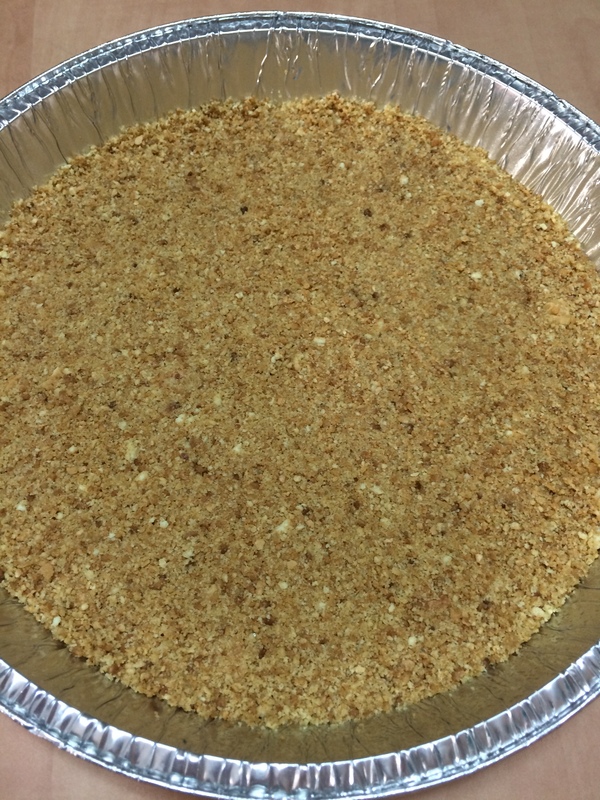 Remove from oven and immediately ease a knife or spatula around the edge of the cake, place a plate or cake stand on top and quickly turn it upside down. Scones and jam and cream! Oh my! Yesterday I met up with some twitter ladies at the Irene Dairy Farm. What a lovely place. The kids had a blast! What I did do is buy some of their famous fresh cream. OMG! 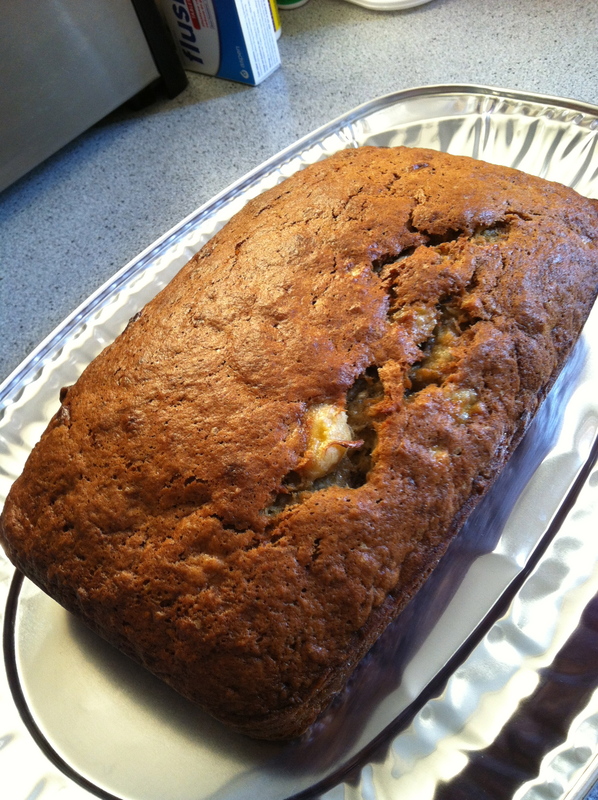 How delish… Think and yummy, I just had to make some fresh scones this morning to go with it. I found the scone recipe over here, I love this site, they deliver exactly what they promise: A South African guide to simple, tasty recipes! Mix together until they form a loose dough. Turn out onto a lightly floured surface and kneed for a few minutes. Flatten the dough out and cut rounds using a glass. Bake at 240ºC for about 7 minutes – I didnt read that properly and baked for about 10 minutes at 180°C. Straight to my childhood. 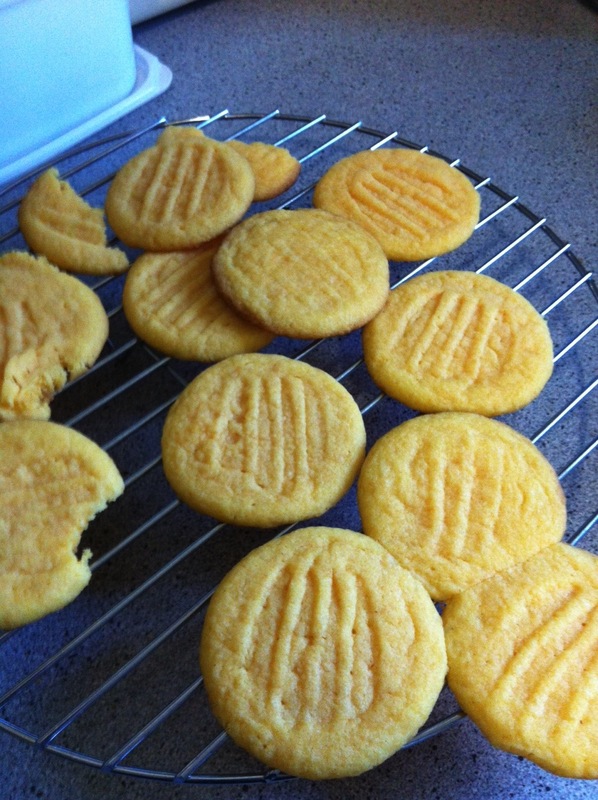 I used to make custard biscuits all the time as a kid. Yummy! 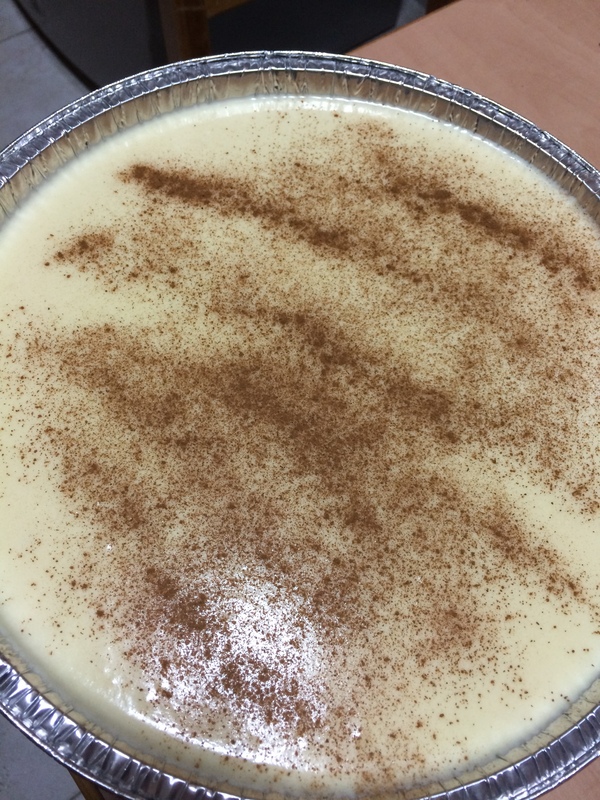 acidicice posted about her first try with custard biscuits, she received the recipe from shirras1. Preheat oven to 180°C and spray baking sheets. Cream butter, sugar and vanilla extract. 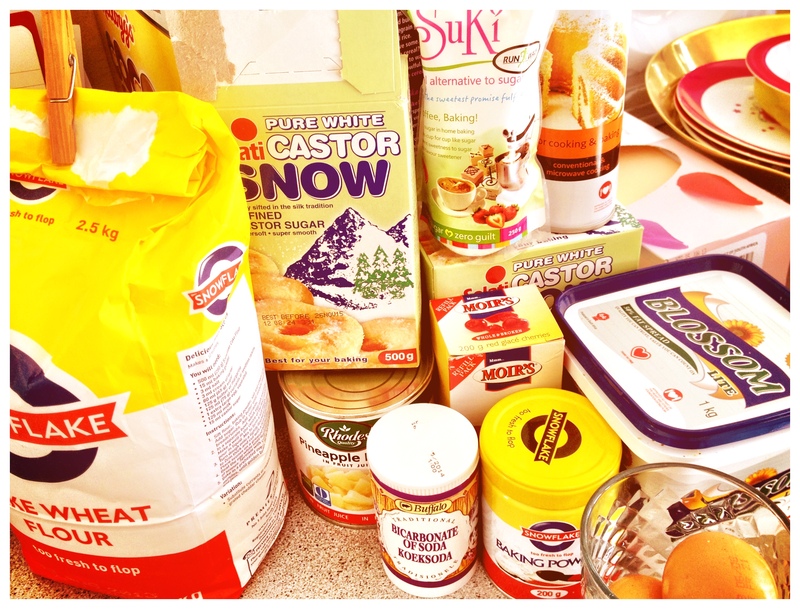 Add flour and custard powder. Roll into small balls and place on baking sheet (the biscuits do spread in the oven so leave a bit of space between them). Dip a fork into custard powder or flour and press down on each ball, the flour helps the fork to not stick to the dough. Bake for 8-10 min or until golden brown. Paul bought a bunch of bananas from Pick n Pay yesterday. Problem was, half of them were over ripe and bruised. 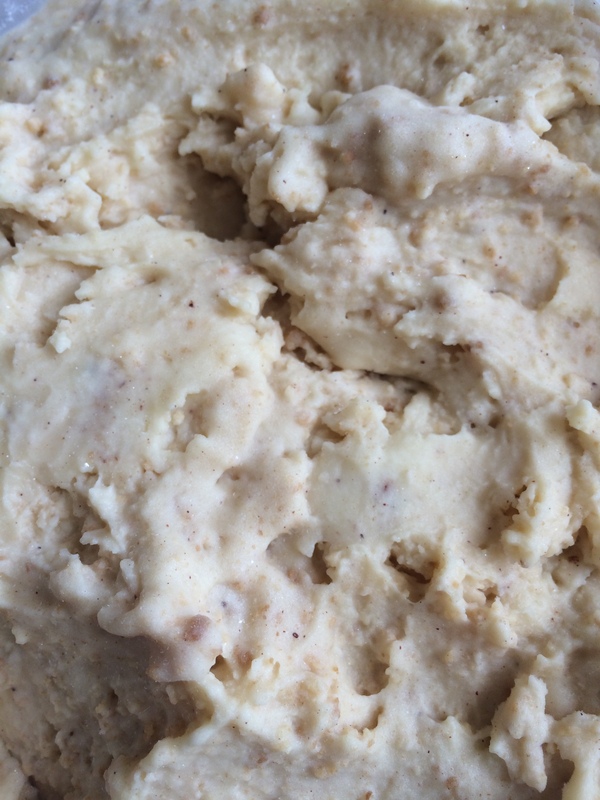 Using a wooden spoon, mix together the mashed banana and melted butter. 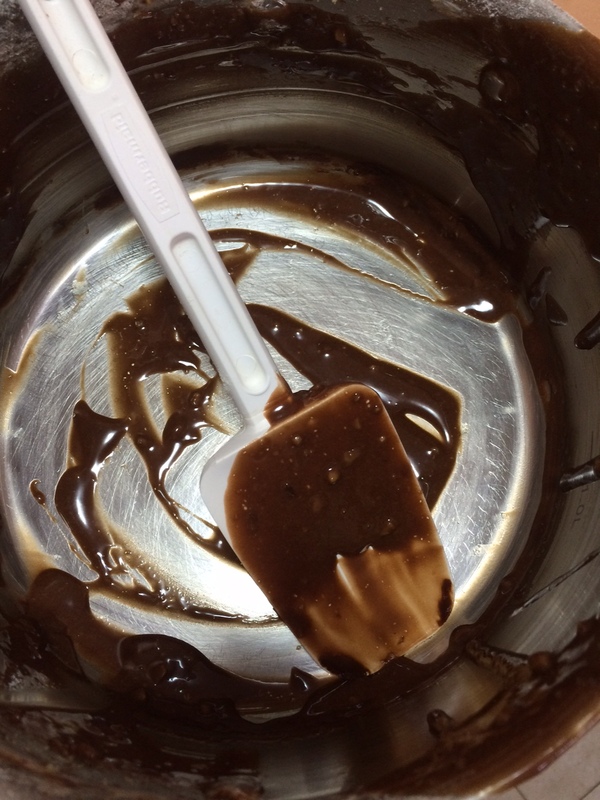 Add the dry ingredients and fold into the wet ingredients. 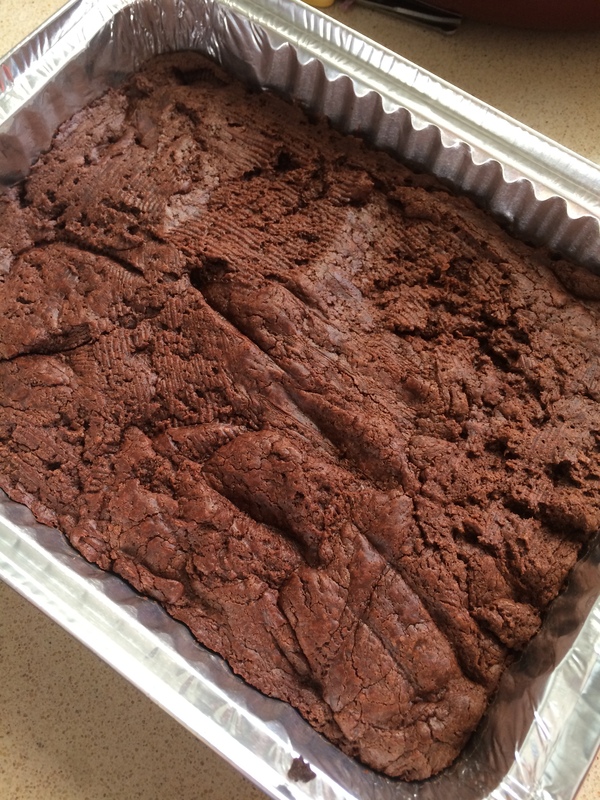 Spray a loaf tin with Spray and Cook and spoon mixture into the tin. On Fridays at Aarons play school the kids bake or cook treats to eat at snack time. 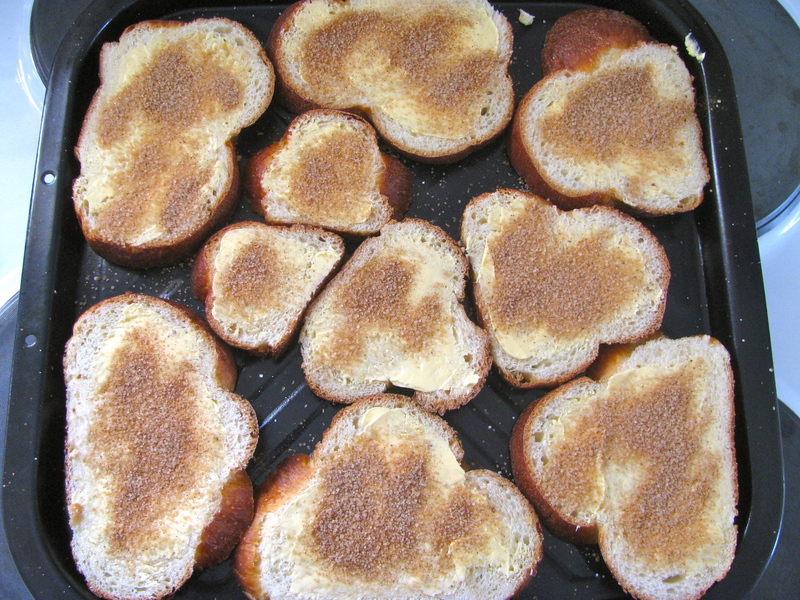 This Friday they made cinnamon toast and I thought I would give it a bash today to eat with our afternoon tea. 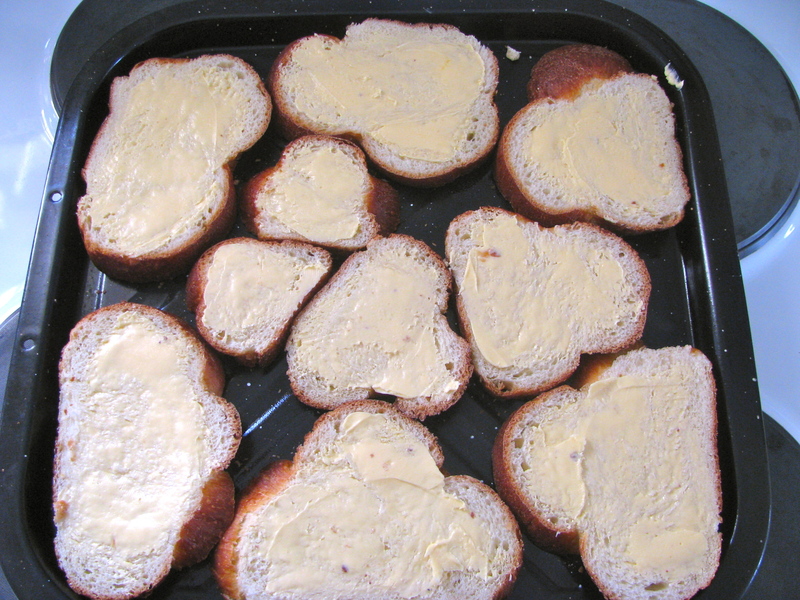 Butter each slice of bread quite thickly. Place slices of bread on the baking sheet. 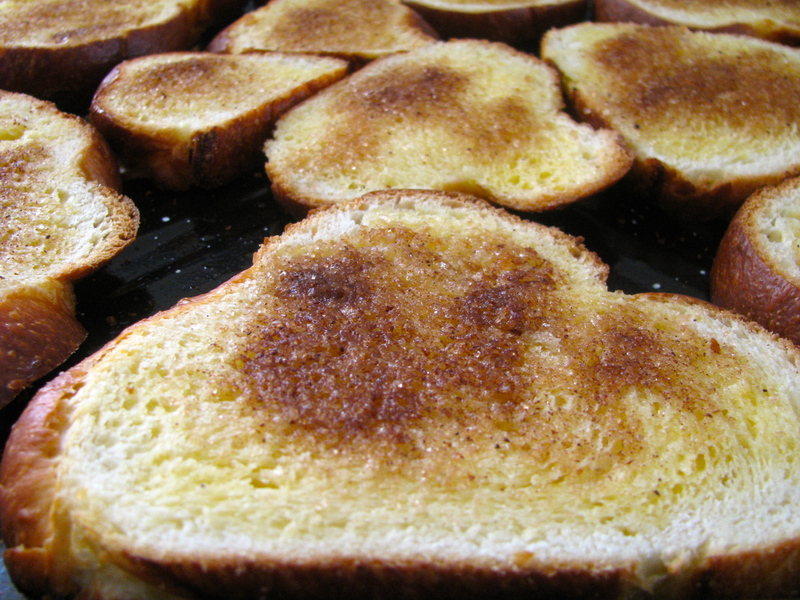 Mix the sugar and cinnamon together and sprinkle all over the bread and butter. 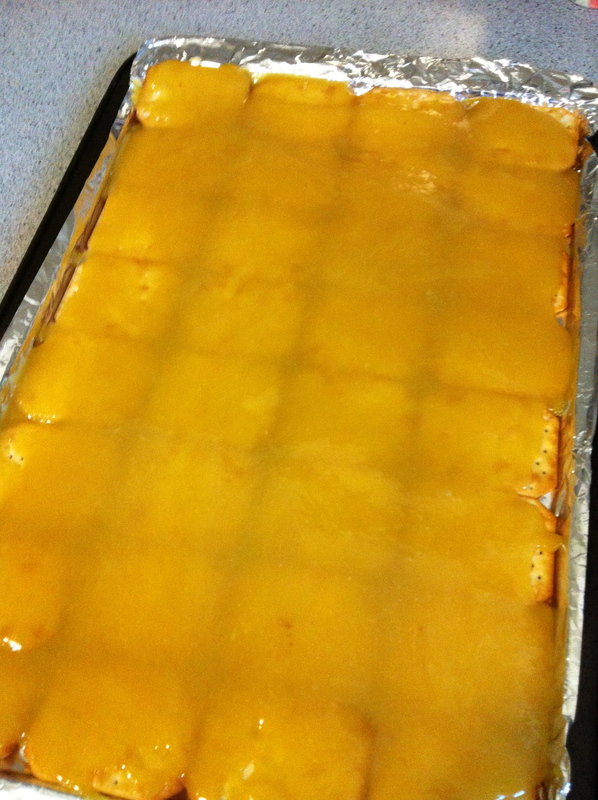 Place baking sheet into the oven and leave fr about 10 minutes. 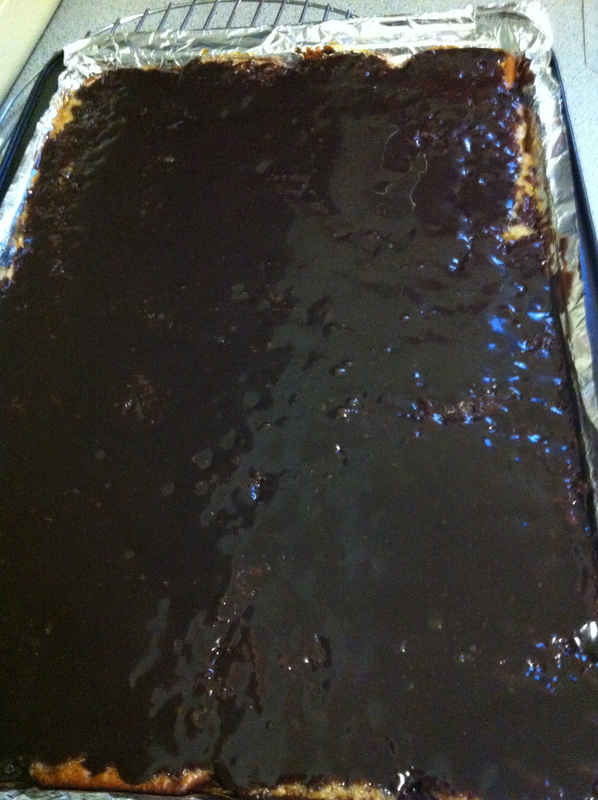 Remove from oven once sugar has melted.